This is lovely. I too like the green foreground against the blue and white of the mountains. 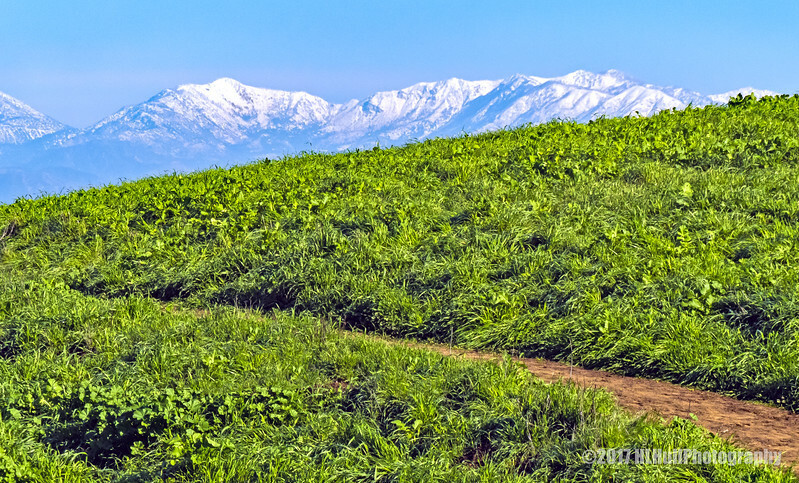 Great contrast of the lush green against the snow on the mountains. Looks like a nice walking path through this beautiful scenery!